Extra, Extra! New Assessment Offering! Have you ever wondered what motivates people to behave the way they do in the workplace? 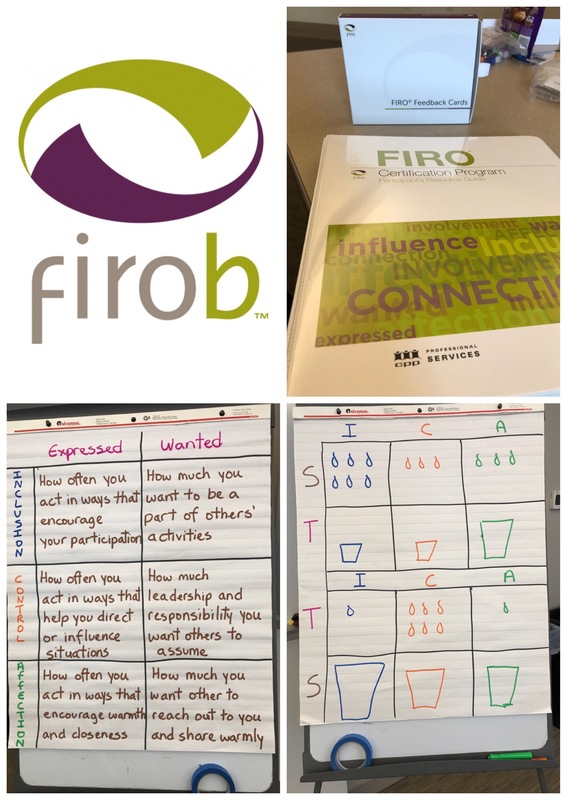 Our Leadership Development Consultant/Coach, Roberta Bemiller, recently return from a FIRO-B (Fundamental Interpersonal Relations Orientation Behavior) certification workshop where she gained valuable insight into 3 unique interpersonal needs that strongly motivate us. The assessment measures our need to belong to a group (inclusion), how much influence we need to have over others (control), and our need to connect one-on-one (affection). For each need there are two dimensions including how much one prefers to initiate the behavior and how much one prefers to have the behavior initiated toward them. The tool helps individuals to understand how they may be perceived by others, how and why conflict may occur, and how to understand and manage one’s individual needs in interpersonal interactions. It’s designed to improve self-awareness, enhance one-on-one relationships and team effectiveness in the workplace, gain insight into career development opportunities, and assist leaders with developing their own leadership style. It doesn’t require a lot of time to take and it delivers a wealth of information and insight into key drivers of behavior. If you want to increase team performance in the workplace, this is a great tool to get you started! For more information e-mail, rbemiller@cpibn.com.